If you spot an ambulance driving through campus or parked near Mojo’s on any given morning, it’s likely that the only “emergency” is paramedic Jason Carita’s need for caffeine. 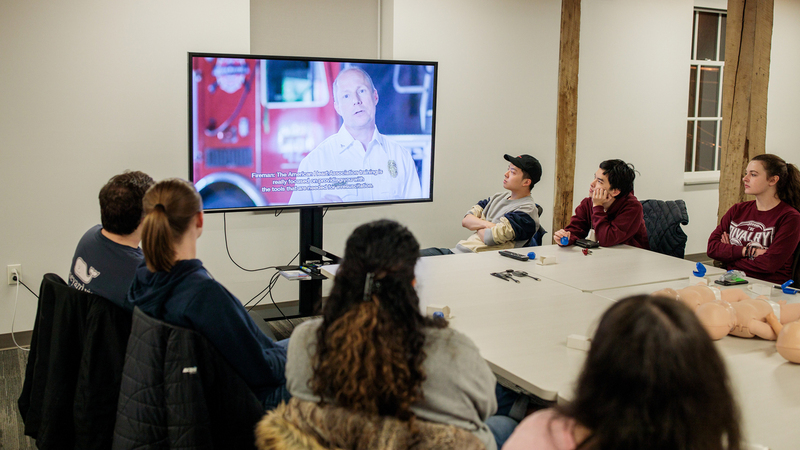 Chances also are good that as Carita sips his coffee, he’s thinking about the next step toward making a team of students first responders to emergency medical calls on campus. Don’t worry. 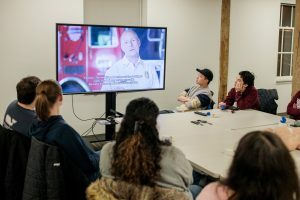 Responding students will include at least one certified emergency medical technician or responder, and an ambulance will still be on the way. 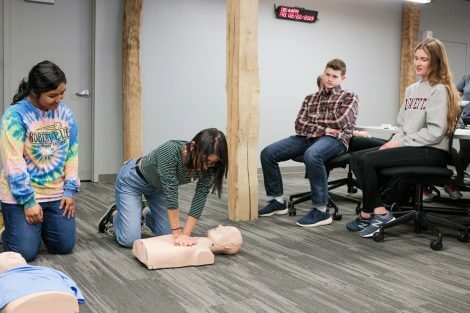 But when the students—all of whom are CPR certified—pull up in their fully equipped quick-response electric cart, they could be cutting six or more minutes off the eight to 10 minutes it typically takes for an ambulance to arrive in response to a call from campus. 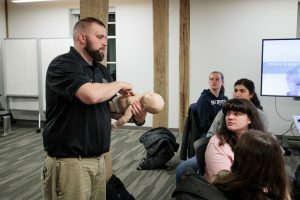 The students are organized as a club through student government but operate as a subsidiary of Easton Emergency Squad for medical purposes. 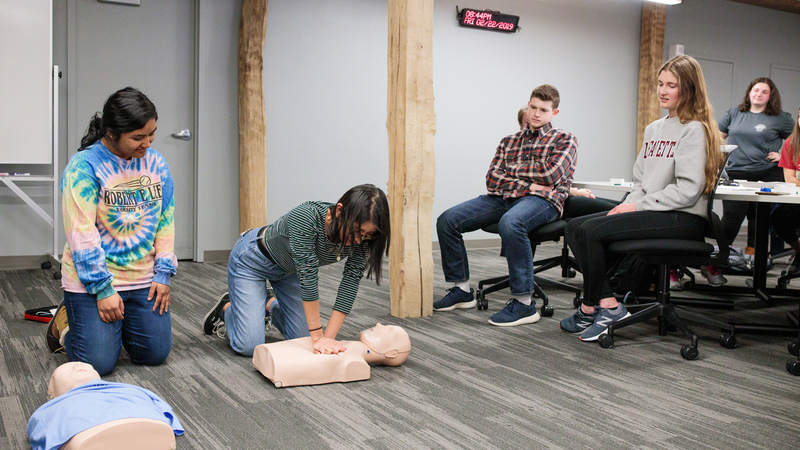 As certified EMTs, the students can administer basic first aid, CPR, oxygen, and certain medications; use automated external defibrillators; splint broken bones; and take glucose readings. They also can determine whether an ambulance is needed and, if not, cancel the call, making paramedics available for other emergencies. Roger Demareski, vice president for finance and administration, as well as a volunteer firefighter and EMT with Pennington Fire Company in New Jersey, is co-adviser to the club and leads a broad administrative team at Lafayette that has been helping Carita and the students navigate necessary paperwork and permissions. He is joined as co-adviser by Thomas Pursel, manager of the heating plant and a volunteer firefighter and EMT in Wilson, Pa., and a steering committee consisting of Dr. Jeff Goldstein, director of health services and College physician; Matt Bayly, director of sports medicine and head athletics trainer; Jeff Troxell, director of public safety; and Leslie Muhlfelder, general counsel and vice president for human resources. 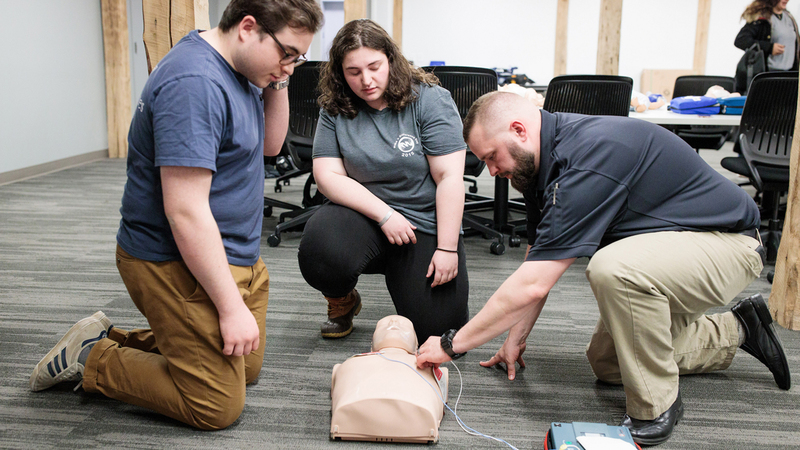 The partnership with Easton Emergency Squad began more than one year ago, when then-senior Camille Mikiej ’18—who is now working as an EMT and plans to begin studying in the fall at Pace University toward becoming a physician’s assistant—began brainstorming with Carita about steps needed for students to become first responders on campus. This year, the 30-member student group is led by Jonny Turovsky ’20, president; Lauren Steinitz ’19, vice president; Rachael Broder ’20, secretary; and Karalynn Lancaster ’21, treasurer. 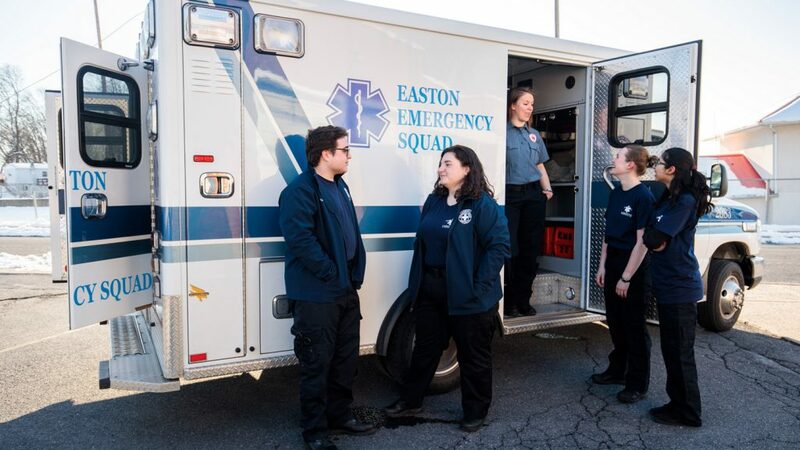 Three of them—Turovsky, Steinitz, and Broder—already have completed sufficient ride-along assessments in Easton for the local ambulance squad to authorize them as first responders. Steinitz, a neuroscience major and aging studies minor, served with her hometown ambulance crew in Danbury, Conn., before coming to Lafayette. One of the first calls she went on involved a fatal motorcycle accident. She remembers family members giving her hugs of gratitude, even though the young man couldn’t be saved. “I love the service aspect of doing this work,” Steinitz says. “Going on ambulance calls teaches you about things you thought you already knew,” adds Turovsky, a biology major from Scarsdale, N.Y., who earned his CPR certification at age 16 and became an EMT when he turned 18. “I like the mix of consoling patients and families combined with the triage and diagnosis aspects,” he says. Broder, a biology and pre-med major from the Catskills, says she was “a shy, timid child” who surprised her parents when she chose to attend high school summer programs at Dartmouth and Georgetown that included dissecting human cadavers. 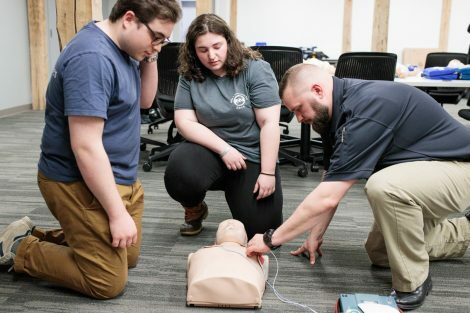 As for parents of Lafayette students who might be concerned about fellow students being first on the scene of an emergency, “Many full-time EMTs are our age too,” Broder says. And Lancaster, a biology and psychology double major from Los Altos, Calif., says her EMT experiences have made her more confident in other ways, including public speaking, that will be valuable lifelong skills. 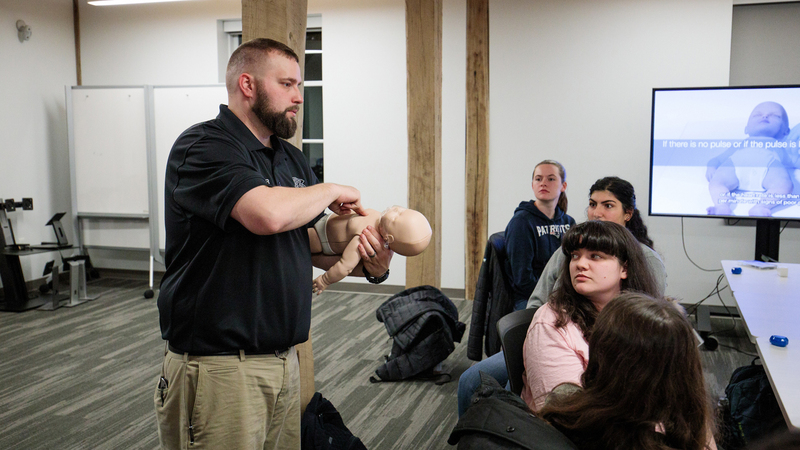 Carita and the students are focusing on making the partnership sustainable by recruiting more students with EMT certifications as well as possibly offering CPR and EMT training on campus.